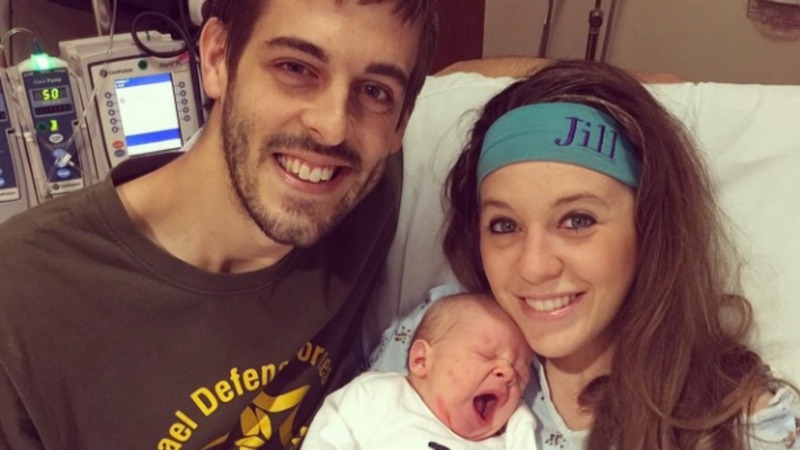 Israel David Dillard, the first child of Derick Dillard and Jill Duggar, made his world debut on Monday, and by Tuesday, the chubster already had a legion of fans cooing over him on social media. Weighing in at a whopping nine pounds, 10 ounces and 23 inches long, baby Israel is definitely a big, healthy boy — and he already has his own personalized outfits. But apparently not everything went as planned, as Jill hinted at during this introductory video posted on the couple’s website today. It appears that both mother and baby are healthy and safe, and whatever detour the birth took, it had a very happy ending. Congratulations, Dillards!